Ankara has announced plans to expand the so-called security zone deeper into northern Syria, after rebels – backed by Turkey's tanks and air force as part of the ongoing Operation Euphrates Shield – achieved a “strategic and symbolic” victory against ISIS. 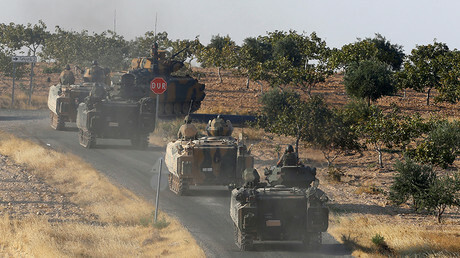 Commenting on the ongoing offensive in Syria, the country’s minister of defense said on Sunday that Turkish forces now control a 90-kilometer (55 mile) stretch along the border, which extends 20km (12 miles) into Syria. “Turkish Armed Forces intend to penetrate [the] terrorist stronghold even further, by 45 kilometers. We will create a security zone in northern Syria, and thus we will eliminate the threat to our territory,” said Fikri Işık, Anadolu News reported. Işık said that terrorists are now having a harder time shelling southern Turkish territory, praising the success of Operation Euphrates Shield. The minister also confirmed that Turkish-backed rebel fighters seized the town of Dabiq from Islamic State (IS, formerly ISIS/ISIL). A commander of Hamza Brigade, Saif Abu Bakr, previously told AP that some 2,000 fighters pushed into Dabiq with tank and artillery support from the Turkish army. Dabiq was central to IS propaganda efforts, with jihadists believing the town to be the scene of an apocalyptic battle between Christianity and Islam, according to ancient prophecy. In addition to driving out Islamists, Euphrates Shield is also aimed at containing Syrian Kurds, who have expanded their territory in northern Syria in recent months. Ankara considers the Kurdish People’s Protection Units (YPG), to be an affiliate of the Kurdistan Workers’ party (PKK), which is considered a terrorist organization in Turkey. 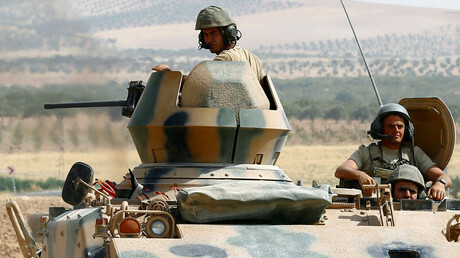 Turkish forces crossed into Syria on August 24, under the pretext of targeting IS positions along the border. Turkey has been supporting the Free Syrian Army (FSA) on the ground. 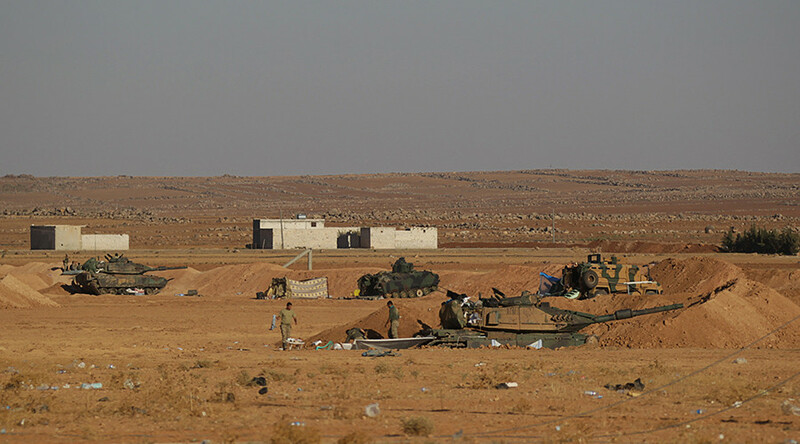 As IS fighters melted away, however, Turkish troops involved in Operation Euphrates Shield clashed with the YPG militia, part of the US-backed Syrian Democratic Forces (SDF). Washington has since called on Turkey to refrain from targeting Kurds, calling reports of clashes “a source of deep concern.” Moscow has also urged Turkey to refrain from attacking the opposition and ethnic groups, at the same time advising Ankara to coordinate its operations with Damascus.